Our curriculum is awesomely effective and the campers get devastatingly good at chess. Contact your City Coach to sign up today. Chess Camps cap at 35 students in the chess party. 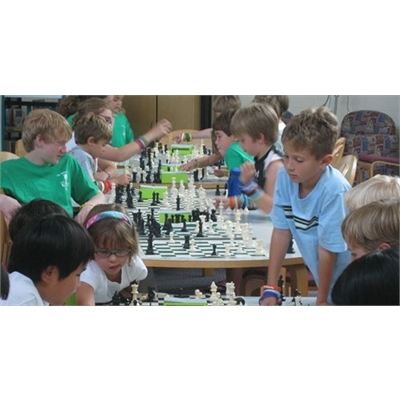 Have your big chess breakthrough at Chess Camp! Click here to visit the Eanes ISD Community Ed website for registration or more info.